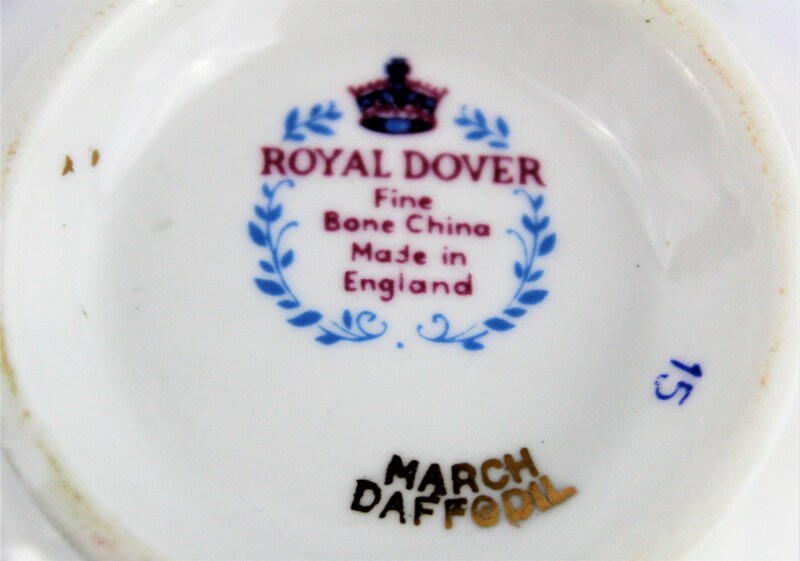 We have for sale a delightful fine bone china tea cup and saucer made by Royal Dover in England. 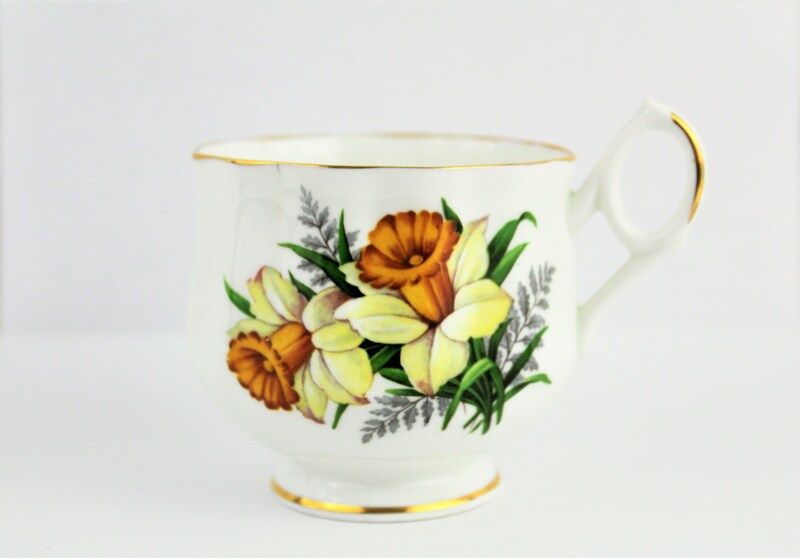 The beautiful daffodil floral design is in lovely shades of yellow and orange with deep green leaves. 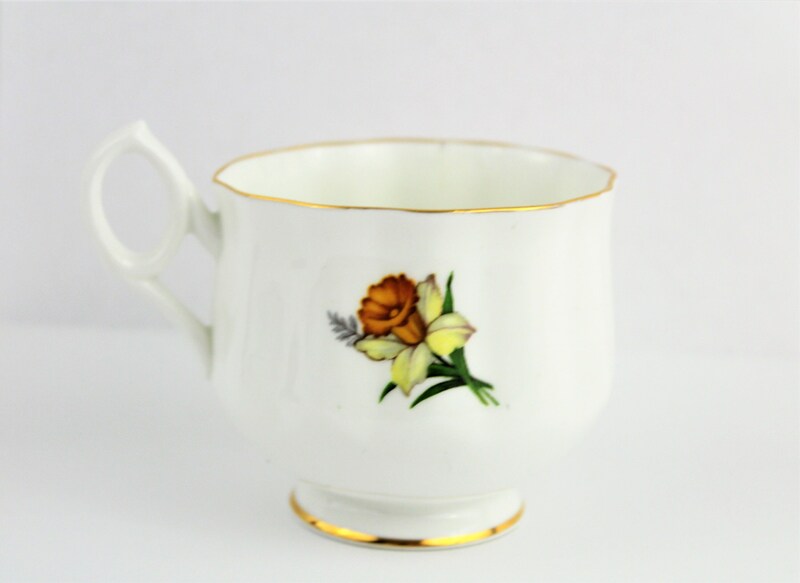 The set is enhanced with delicate gold gilding on the rims, cup footing and handle. 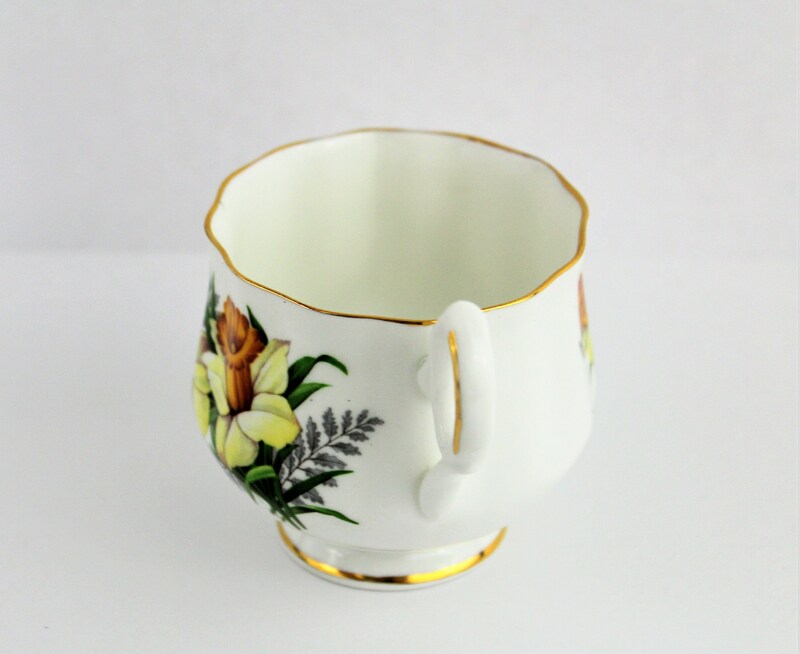 The footed tea cup has a unique ‘punch bowl’ shape that sets it apart from other tea cup and saucer sets. 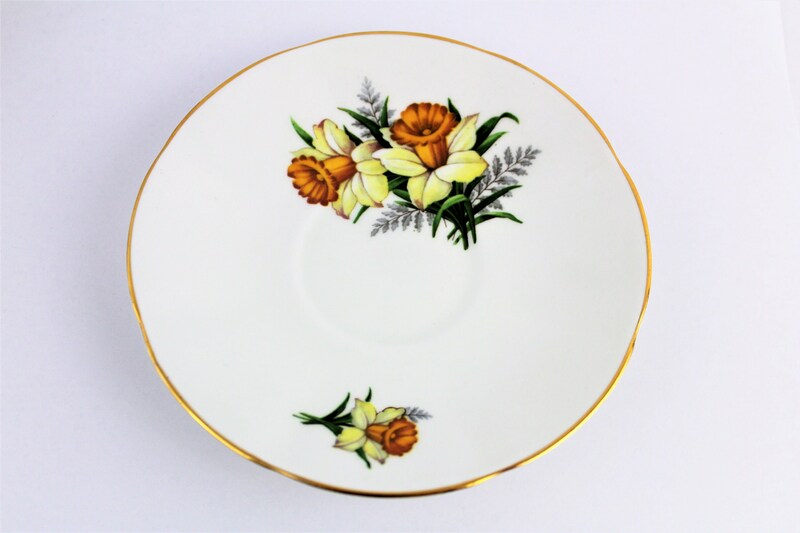 It is in a very good vintage condition with no chips or paint wear. 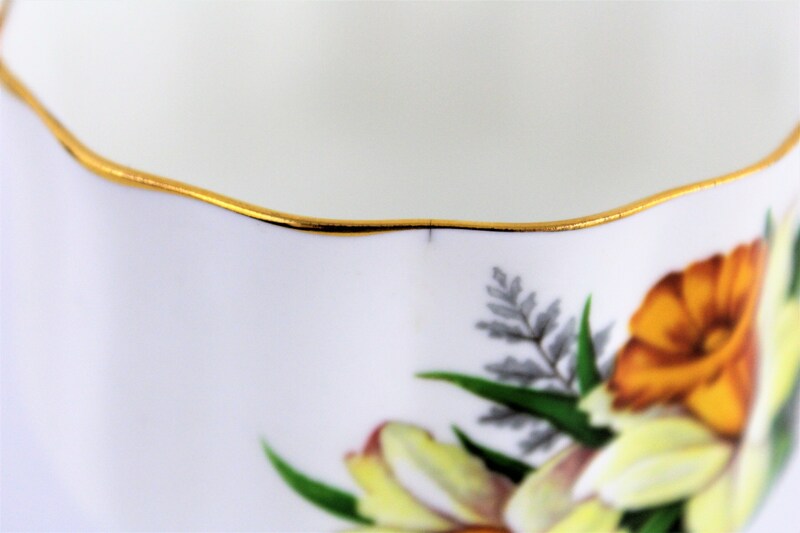 There is one very small mark on the cup lip (shown in picture) which appear to be a hairline crack. Gold gilding is in very good condition. Please see all photographs as they are part of the description. 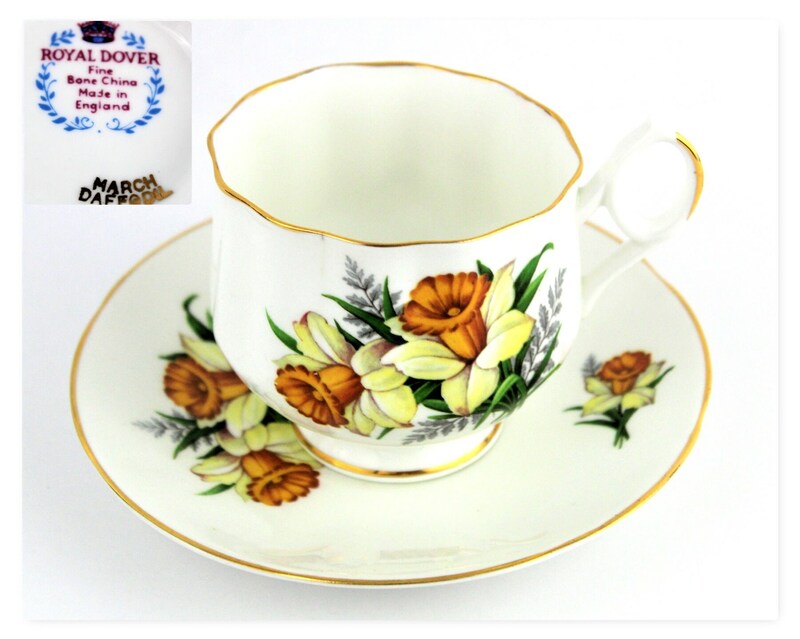 It would make a wonderful gift for the discriminating tea drinker especially with a March birthday! 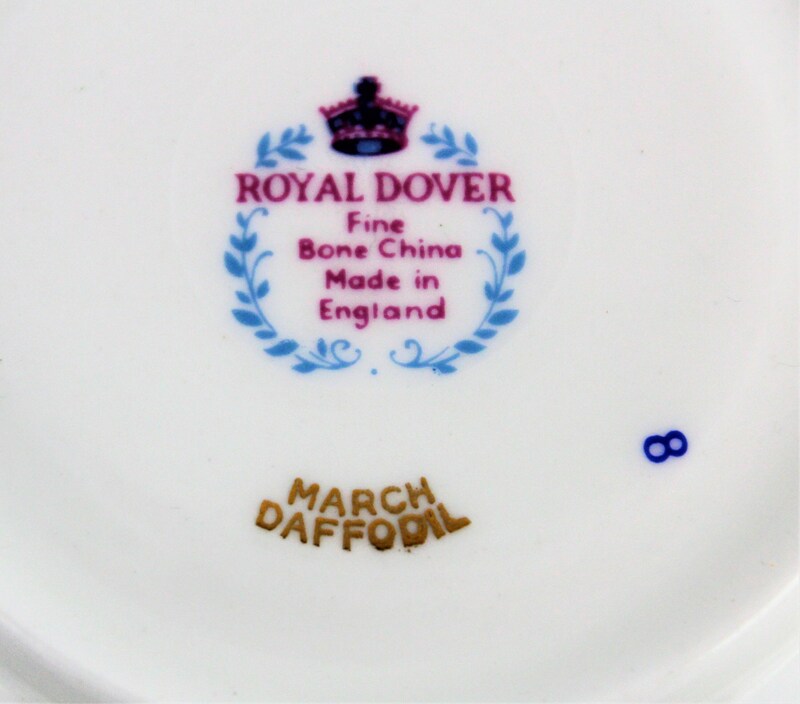 Marked: ROYAL DOVER Fine Bone China Made in England MARCH DAFFODIL. The cup also has the number 15 and the saucer has the number 8. 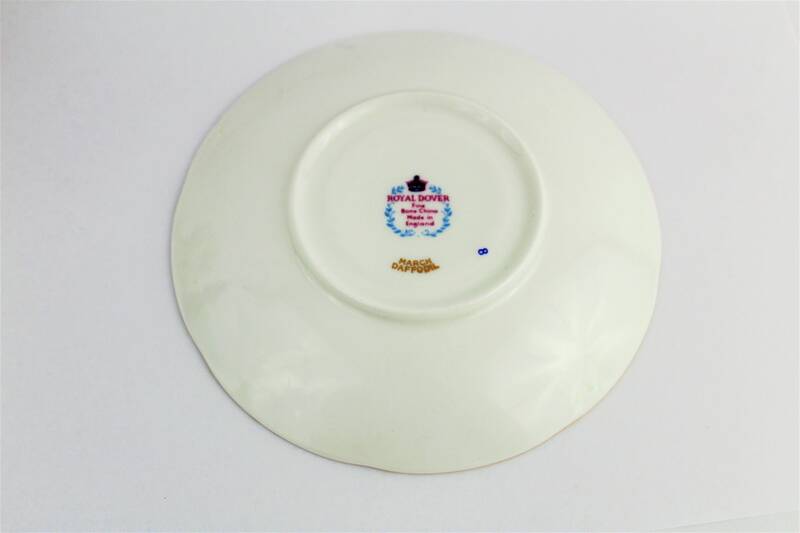 Measures: saucer is 5 ¾” in diameter; tea cup is 3 ¼” in diameter and 2 7/8” high. 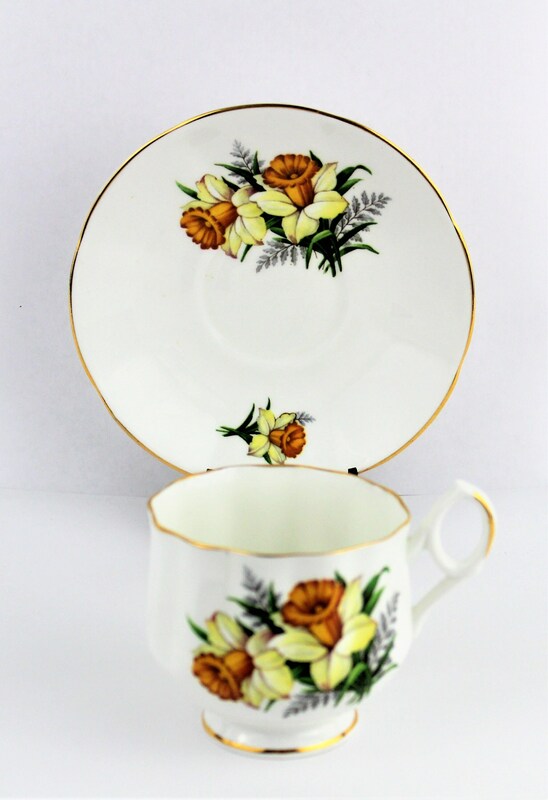 Condition: This set is in very good vintage condition as described above.